MWW was asked to expand the consumer news cycle for the event beyond just the week leading up to and immediately following the horse race, also known as the Run for the Roses. Churchill Downs set out to elevate the Kentucky Derby’s profile beyond core sports and horse racing fans, and position the race as a premier national entertainment and lifestyle event. 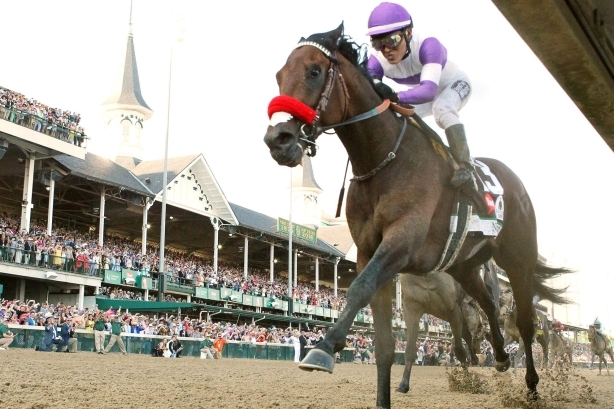 MWWPR was awarded the PR assignment for the Kentucky Derby in a competitive RFP released by Churchill Downs last year. The 142nd running of the Kentucky Derby took place on May 7, and drew in 167,227 attendees -- the second-highest turnout in track history. In December 2015, the MWWPR team visited Churchill Downs, the home of the Kentucky Derby, for a two-day immersion session to learn about the history and culture of the event. The campaign team identified and began developing compelling story opportunities in key consumer media verticals, including food and drink, fashion, sponsorship, betting, and news and entertainment. Leveraging existing Kentucky Derby partnerships and available assets, the team wanted to create a series of storylines to amplify the Kentucky Derby brand, expand its relevance, and reach new audiences. "One of the primary challenges was that, historically, media does not cover the Kentucky Derby more than a week or two in advance of the event, and that coverage is generally limited to more traditional content," said Tara Naughton, EVP, Northeast consumer practice leader at MWW. "In order to breakthrough with more consumer media and drive earlier coverage, the team worked to develop more creative story angles, using available assets to generate a wide array of feature stories that would appeal to new audiences through relevant lifestyle media." To help expand the lifestyle coverage around the Kentucky Derby, the campaign team executed a series of exclusive and embargoed media announcements for elements that previously went unannounced or were only reported on during the week of the event. "We developed a strategic media campaign that included targeting top-tier national media outlets across key verticals with topical lifestyle stories about how to bet, the creative milliners that make signature derby hats, party planning tips and make-at-home recipes, and details of planned brand sponsor activations," said Naughton. MWW also used local derby experts, key Churchill Downs spokespeople, and brand partners to help capture the essence of the Kentucky Derby, which generated robust, on-message lifestyle coverage two months ahead of the event, and created sustained awareness to extend the traditional event news cycle, Naughton added. The spokespeople selected to provide authentic information about experiencing the Kentucky Derby in interviews and media appearances included: Kevin Kerstein, a handicapper from Churchill Downs who shared his expertise on picking the horses with Fox Business Network; Kenzie Kapp, a local Louisville milliner, who provided expert insight for numerous national outlets including Parade, New York Magazine, and Elle.com; and Charles Joly, a world-class bartender who shared an exclusive recipe with People Magazine for readers ahead of the event. Lifestyle media outlets were invited on-site and took part in the Kentucky Oaks fashion show and the Kentucky Derby red carpet. Reporters were also given exclusive dining experiences and celebrity access to inspire post-event pieces and help forge relationships. Four social media influencers were also enlisted to create and distribute authentic content and messaging in order to help reach new audiences. Additionally, the campaign team created the official Kentucky Derby menu announcement that was published as an exclusive with People Magazine, two months prior to the event. The campaign team exceeded media awareness goals for the 142nd Kentucky Derby by nearly 250%. Total media impressions generated, across both social and traditional outlets, tallied more than 725 million. The event received 52 original earned media placements in media outlets including: BuzzFeed, Town & Country, Elvis Duran and the Morning Show on Z100, Elle.com, InStyle, Vogue, Rolling Stone, and Travel & Leisure. In addition, more than 230 syndicated placements were generated as a result of AP and USA Today articles placed by MWW. As a result of the social media influencer partnerships, the Kentucky Derby generated more than 57,000 engagements across social media platforms, including Facebook, Twitter, Instagram, and Snapchat.